An adulterous couple hear something dreadful happening next door; a movie-star is trapped in her hotel room; elsewhere a young man is buried alive on his uncle’s farm; while another man wakes up, unsure of who he is or how he got there, in a perfectly white prison cell. Seven disturbing tales of claustrophobic terror, from author of supernatural thrillers, F.R. Jameson. 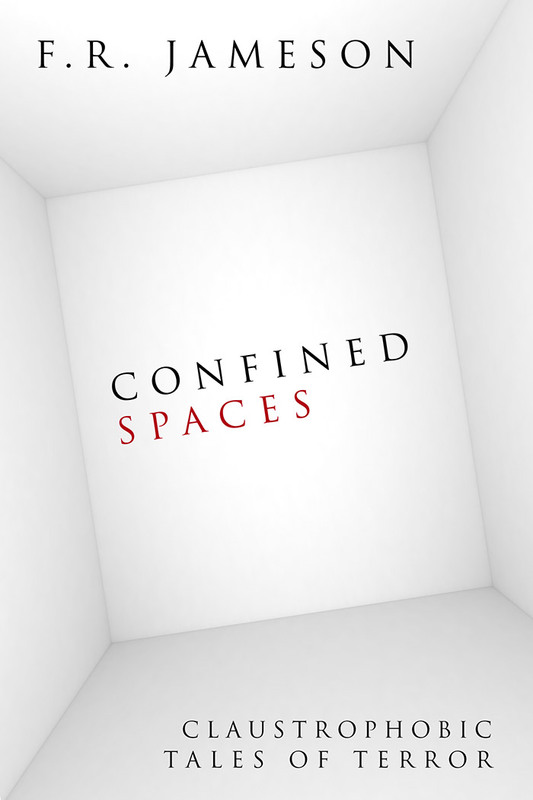 "I had a great experience working with Simon on the cover for my short story collection, Confined Spaces. He really understood the brief and gave me a couple of ideas which fitting in with the feel and atmosphere of the book. (Thus giving me a pleasant problem to ponder one weekend.) Once I'd made my choice, he made the few amendments I wanted quickly and painlessly. In short, it was a seamless process working with Simon who delivered exactly what I wanted, and I look forward to collaborating with him again in the future."